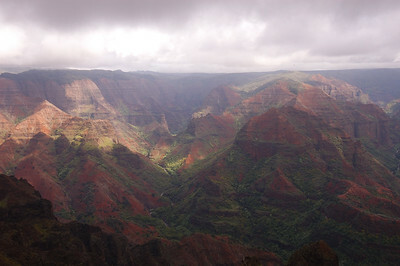 Mark Phillips' Pages: Photography: 2004-11-27, Waimea Canyon, Kauai. 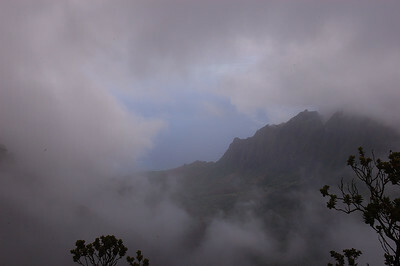 November 27, 2004. 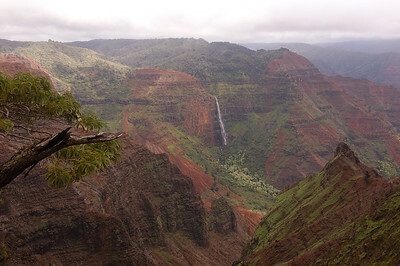 Waimea Canyon, Kauai. 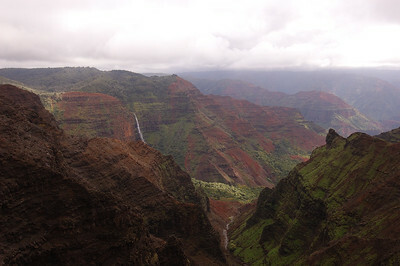 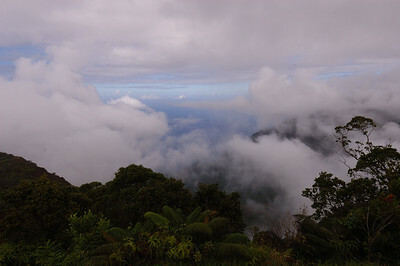 Waimea Canyon is often compared favorably with the Grand Canyon in the American Southwest. 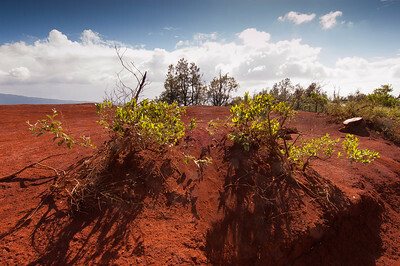 I love the Southwestern desert but for my nickle Waimea wins. 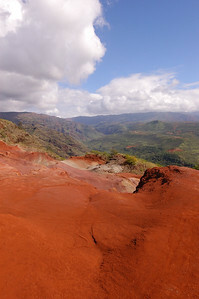 It has the rainbow of reds like the Grand Canyon, but it adds the lush spectrum of tropical greens of the Garden Isle. Many of these shots are from the drive up. 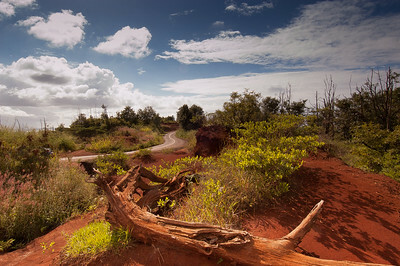 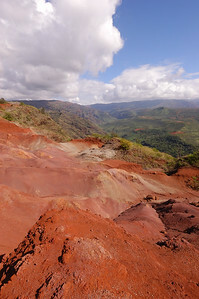 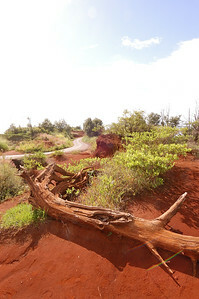 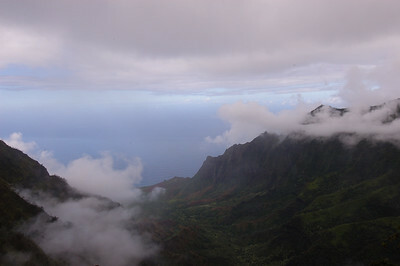 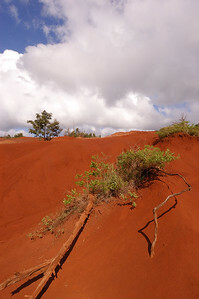 Kauai's iron-rich soil is famous as "red dirt dye". 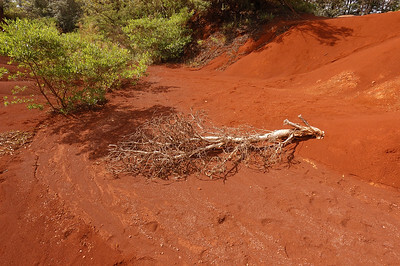 Reportedly one gallon of Kauai's red earth is enough to dye five hundred t-shirts. 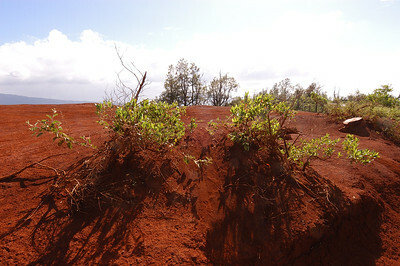 We found a pair of particularly strong locations, where I loved the contrasts between the red soil and the colors of the scrubs and branches around it. 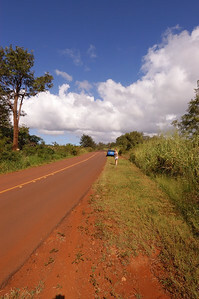 These pages are formatted for laptops; mobile real soon now. 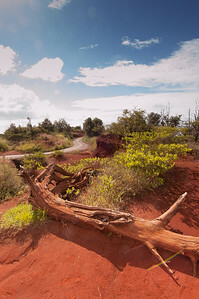 Click a thumbnail for the big picture plus commentary. 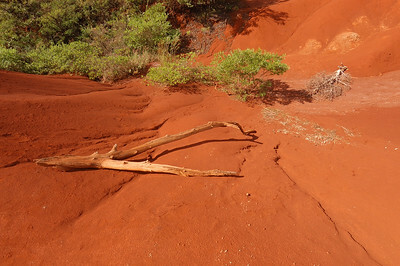 Preview via the slideshow below.